We are specialist repairers of Fuel Oil Injector Pumps, Injector Valves and Governor of all Engines types. Leo Marine Diesel is a modern manufacturing and repair facility, strategically located in the new Industrial Park of Schisto, close to Piraeus, specializing in recondition and repair of fuel injection systems and governors for marine diesel engines but also offering a wide range of marine and industrial repairs. Through the years we have built a reputation in the marine industry, based on our long standing experience in the field, in combination with our qualified and skilled technicians and the use of modern technology together with our continuous commitment to quality which guarantees our services and the satisfaction of our customers. Our aim is to keep our client's vessels sailing without delays in port for repairs therefore we offer round the clock operation at our premises as well as on situ services on board the vessels with our team of experts. Each task assigned to us is treated in close co-operation with our customers in order to be completed in the most time and cost effective manner without compromising the quality of the final product. A complete fuel injection refurbishing solution, with the warranty of the 25 years of our experience. Suppliers & stocklists for all types of 2 & 4 stroke engine spare parts. Also on Exchange Basis. Recondition and repair of Fuel Oil Pumps - All engine types. Also a large stock of ready-made Plunger for fast response to vessel's need. Governor Repairing and testing of any type of governor. Many types of governors are also available on exchange basis. Our skilled engineers can board our clients' vessels worldwide for consultancy, fault diagnosis and fuel injection timing of the main and auxiliary diesel engines. In-situ emergency repairs can also be performed in order to keep the vessel running until a convenient port for major repairs to be carried out. Latest technology calibration and testing facilities including fuel pump test bench, injector nozzle testers and high accuracy measuring equipment are used to ensure optimum performance of the final product. Various parts and components of propulsion and auxiliary machinery can be manufactured upon client's request using carefully selected material and production methods to ensure prolonged service on board. In our stock we maintain a large number of parts and components both from original engine manufacturers as well as from selected aftermarket high quality product makers. A wide range of new and reconditioned fuel nozzles, atomizers, plunger and barrels, delivery valves and various components are available for direct sale or on exchange basis. Various parts and components of propulsion and auxiliary machinery can be manufactured upon client's request using carefully selected material and production methods to ensure prolonged service on board the vessel. The final product is quality controlled with latest technology calibration equipment prior to delivery to the client. 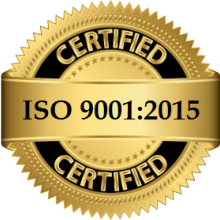 Leo Marine Diesel offers its services under ISO 9001-2015 certification. Quality procedures are implemented and maintained at all levels of our services and consistently monitored by the company's Quality Internal Auditors. Our target is to meet and exceed our customers' requirements without compromising the quality of our products and services. In order to achieve this we have vastly invested on the development of our facilities and on human resources.